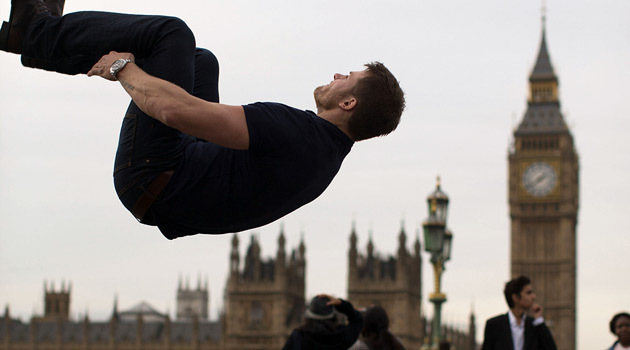 Dove Men+Care‘s deodorant and antiperspirant line is tough on sweat, not on your skin. They’re designed for men to provide 48-hour odor and wetness protection, with a 1/4 moisturizer technology infused with Vitamin E that helps boost the skin’s natural moisture barrier. They’re available in five refreshing scents (Fresh Awake, Aqua Impact, Cool Silver, Clean Comfort, and Extra Fresh), and they all smell great. And there’s a Clinical Protection offering as well, which provides prescription strength protection against wetness for the extra sweaty guys out there.. I love the fact that it keeps working for 48 hours, and it doesn’t leave my underarms irritated either. 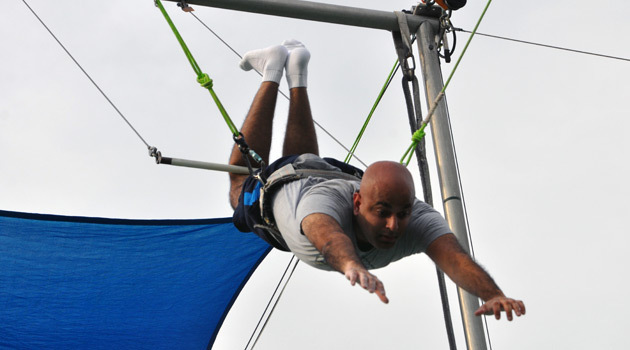 So start every day on a fresh note and use Dove Men+Care! 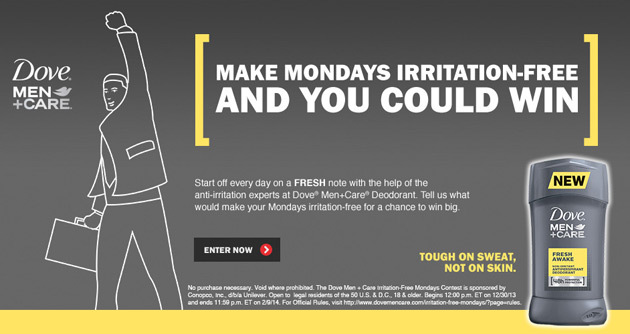 Tell the anti-irritation experts at Dove Men+Care Deodorant what will make your Mondays irritation-free for a chance to win big. 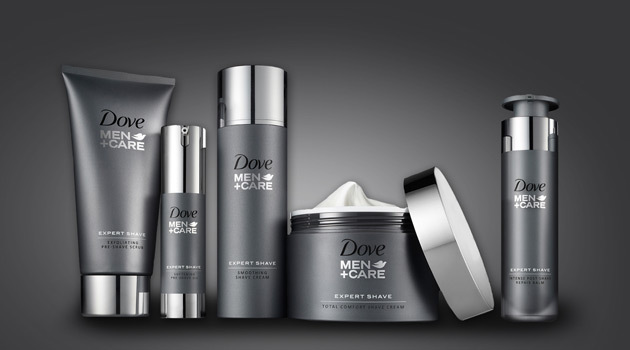 Visit DoveMenCare.com to enter for a chance to win an incredible prize. How incredible? How about a traffic-free commute? A food truck bonanza? $5000 to be your own boss? Those prizes and more are up for grabs each week, so enter now!